The era of fully fledged quantum computers threatens to destroy internet security as we know it. 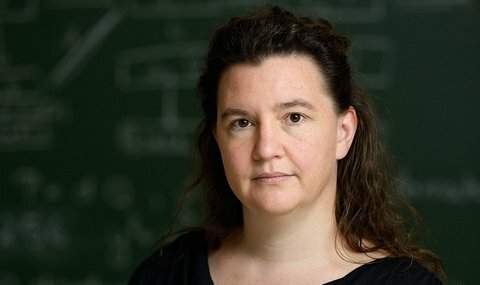 Researchers are in a race against time to prepare new cryptographic techniques before the arrival of quantum computers, as cryptographers Tanja Lange (Eindhoven University of Technology) and Daniel J. Bernstein (University of Illinois at Chicago, USA) describe today in the journal Nature. In their publication they analyze the options available for this so-called post-quantum cryptography. The expectation is that quantum computers will be built some time after 2025. Such computers make use of quantum-mechanical properties and can therefore solve some particular problems much faster than our current computers. This will be useful for calculating models for weather forecasts or developing new medicine. However, these operations also affect protection of data using RSA and ECC. With today’s technologies these systems will not be broken in a hundred years but a quantum computer will break these within days if not hours. TU/e professor of Cryptology Tanja Lange. In their Nature publication Lange and Bernstein explain that a certain quantum algorithm, namely Shor’s algorithm, breaks all cryptographic techniques that are currently used to establish secure connections on the Internet. Candidates for post-quantum cryptography can roughly be categorized into two types: they are either very well understood and confidence-inspiring but require a lot of bandwidth or they are more convenient to use but provide more questionable security. The publication appears in an issue of Nature with special attention to topics related to quantum computers: from different candidates of elementary building blocks of quantum computers till, e.g., the development of new algorithms. The journal invited Lange to write the article on post-quantum cryptography.